In total 10 links were found which refer to Vincentbelltraining.co.uk. 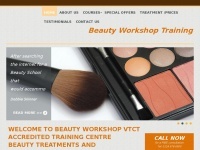 The most used keywords in text links are Hairdressing Courses Edinburgh and Hairdressing. Individual words like Edinburgh, Courses, Academy and View are frequently used in text links from other websites. The most important link sources for this website are Laurengollan.co.uk and Lessence.co.uk. The homepage of Vincentbelltraining.co.uk and the subsite are most referenced by other websites. The table shows the most important links to Vincentbelltraining.co.uk. The table is sorted in descending order by importance. 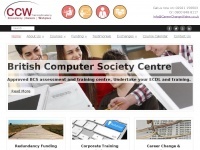 The table shows websites of Vincentbelltraining.co.uk, which are often linked by other websites and therefore they are classified as important content. 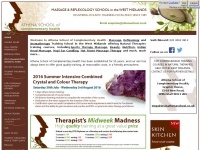 Lhaa.co.uk - Hairdres­sing Appren­ti­ces­hips & Bar­be­ring Cour­ses | ..
Athenaschool.co.uk - Reflexo­logy, In­dian Head Mas­sa­ge, Hopi Ear Candling, ..
Beautyfinder.co.uk - Beauty Sa­lons, Thera­pists, Treat­ments, Trai­ning ..
Beautyworkshoptraining.co.uk - Beauty thera­pist trai­ning cour­ses Wo­kingham: Beauty ..